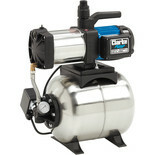 High specification, stainless steel bodied corrosion and rust proof pump, ideal for boosting or maintaining water pressure. 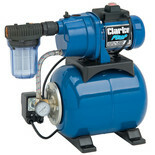 Clarke CBM250SS - High specification, extremely quiet, stainless steel bodied corrosion and rust proof water pump, ideal for boosting or maintaining water pressure. 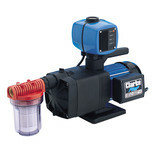 This high efficiency multi stage tankless booster pump has an electronic control unit and combines high output with huge 14 metre head. 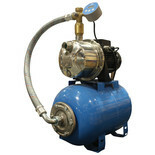 This booster set comprises of a self-priming stainless steel pump connected to a 24 litre tank ideal for water transfer boosting for domestic and industrial use and many other applications. 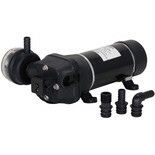 These booster water pumps are perfect for increasing or maintaining water pressure for garden taps, house pipes as well as automating irrigation systems to your own specifications. 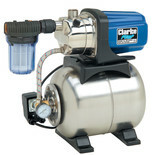 Stainless steel bodies and rust proof design ensure product longevity and these water pumps are very quiet when in use.